Alexa-driven gadgets are getting major price drops as Amazon battles to own voice-activated home control. With Google Home and Apple HomePod gaining ground in the smart speaker space, it looks like Amazon wants to cement its popularity in the U.S. with some major price drops for the Echo LookRemove non-product link, Echo Show, and Echo Dot. 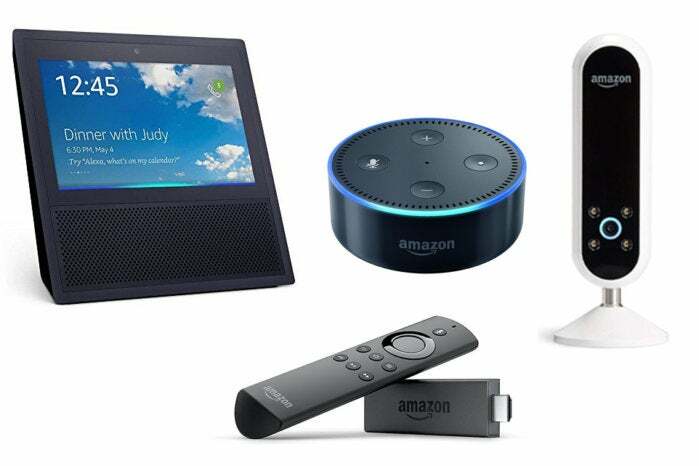 Echo savings range from 40% to 50%, and two Fire TV devices are on sale as well. We’ve done extensive testing of all Amazon Echo devices and have given Editors’ Choice awards to the Show and Dot for vastly different reasons. So read our reviews to make sure you purchase the best Alexa device for you. (Our roundup of the best smart speakers could also be instructive.) As an added perk, Amazon is offering six months of Amazon Music Unlimited for free when you buy an Echo device. Finally, if you’re looking for more Amazon device deals, go to this Amazon page that showcases all Amazon-built Prime Day offerings.